Kaspersky Endpoint Security for Business Select Securing your data, systems & mobile workforce. - Award-winning, multi-layer anti-malware; - Endpoint controls – Application, Device & Web; - Mobile security & mobile device management... and more. With an increasingly mobile and diversified workforce, most businesses need to extend their security far beyond traditional boundaries. In addition to delivering Kaspersky’s award-winning anti-malware technologies, Kaspersky Endpoint Security for Business SELECT adds mobile security, file server security and flexible control technologies that help you to ensure compliance with your security policies. Deeper protection for your business… its data… and its reputation Kaspersky’s anti-malware technologies deliver multi-layer defences to protect your systems and sensitive business data from today’s increasingly sophisticated threats. With a combination of signature-based, proactive and cloud-enabled technologies – plus special features including our Network Attack Blocker and two-way firewall – Kaspersky Endpoint Security for Business SELECT does more to keep your business secure. Preventing the spread of malware via shared storage A single infected file on one of your servers has the potential to affect every computer on your corporate network – and that can severely damage business productivity. 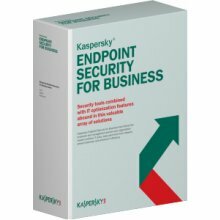 Kaspersky Endpoint Security for Business SELECT includes essential anti-malware for file servers – to protect servers running Microsoft Windows, Linux and Novell NetWare against malware. Enabling mobile access and secure BYOD Multi-level mobile security technologies help you to defend your business against the security risks that can result from enabling mobile access to your corporate systems. Kaspersky Endpoint Security for Business SELECT, can help you to benefit from the cost savings and productivity gains that a Bring Your Own Device (BYOD) initiative can deliver – while Kaspersky technologies protect you against viruses, spyware, Trojans, worms, bots and a wide range of other threats. Saving time and money – by simplifying mobile management With integrated mobile security and mobile device management (MDM), Kaspersky Endpoint Security for Business SELECT makes it easier to control how mobile devices access your business systems. As soon as a mobile device appears on your network, it’s visible to your administrators – so they can rapidly start managing the device’s security and how the device interacts with your systems. Powerful control tools – to help you enforce your security policies Kaspersky’s Application Control, Device Control and Web Control technologies help to deliver a much deeper level of defence for your data and systems – so your IT team can easily control how applications run and manage how employees use the web and removable devices. 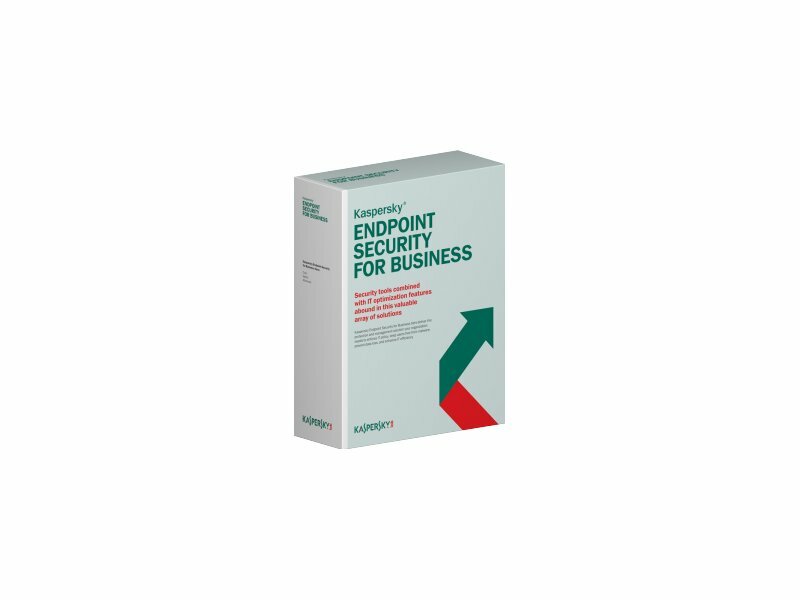 Kaspersky Endpoint Security for Business SELECT helps you to enforce your corporate security policies – across your business and your workforce. Preconfigured for immediate protection As soon as Kaspersky Endpoint Security for Business SELECT is installed on your corporate network, Kaspersky technologies are ready to start protecting your business. Furthermore, because it’s supplied complete with Kaspersky’s centralised management console – Kaspersky Security Center – it’s easy to tailor the configuration of all Kaspersky security technologies your business runs… including any Kaspersky Targeted Security Solutions that you add. Tailoring your IT security to your requirements If you need to add further security or management capabilities for your IT environment, Kaspersky’s Targeted Security Solutions offer a range of additional technologies that can complement your Kaspersky Endpoint Security for Business SELECT solution. You can choose to add protection for storage, virtualisation, mail, Internet gateways or collaboration… or wide-ranging systems management functionality. Kaspersky Endpoint Security for Business SELECT has been developed to combine world-class protection technologies and ease of management. Anti-Malware for Workstations Award-winning anti-malware Across the world, Kaspersky is widely recognised for the effectiveness of its anti-malware technologies. Kaspersky Endpoint Security for Business SELECT combines our latest signature-based, proactive and cloud-assisted technologies – to deliver superior anti-malware protection for your business. More frequent updates Compared with many other vendors, Kaspersky updates its malware database much more frequently – to help ensure you’re protected against the very latest threats. In addition, by using pattern-based signatures, Kaspersky improves detection rates – while also reducing the size of the signature updates that your systems receive. By optimising updates, Kaspersky helps to minimise the load placed on your computing resources. Urgent Detection System (UDS) Even before a new malware signature can be released, Kaspersky’s Urgent Detection System database is updated with information about newly discovered malware – to help deliver even earlier protection against new threats. System Watcher When a program is launched on one of your systems, Kaspersky’s System Watcher will start analysing the program’s behaviour. If suspicious behaviour is detected, Kaspersky Endpoint Security for Business SELECT will block the program and – if any malicious activity has occurred – you can ‘roll-back’ your system to an earlier state before the problem arose. Active Disinfection Working at the lowest levels of an operating system, Kaspersky’s Active Disinfection technology neutralises malicious objects. Deeper levels of protection Kaspersky’s Active Disinfection technology works at the lowest levels of a computer’s operating system – to protect against malicious code. Cloud-assisted protection Millions of consenting users have ‘opted in’ to enable the cloud-based Kaspersky Security Network (KSN) to collect information about potential malware and suspicious behaviour on their systems. This enables Kaspersky to provide all customers with a much more rapid response to new threats. According to third-party tests, Kaspersky’s response time – assisted by its KSN technology – can be as rapid as 0.02 seconds. Furthermore, this real-time collection of information from the field helps to reduce the occurrence of ‘false positives’. HIPS – Host-based Intrusion Prevention System with Personal Firewall By controlling your inbound and outbound traffic – according to a choice of parameters, including the individual port, IP address or application – Kaspersky’s advanced firewall helps to protect your systems against hacker attacks. Network Attack Blocker Kaspersky’s Network Attack Blocker can detect and track suspicious activity on your corporate network – and then respond according to preconfigured criteria. Anti-Malware for File Servers Anti-malware for multi-platform file server environments Kaspersky Endpoint Security for Business SELECT delivers world-class anti-malware protection for file servers running Windows, Linux, Novell NetWare or FreeBSD. With a powerful antivirus engine – and optimised scanning – it helps you to protect against malware, without any significant impact on the performance of your systems. The application can protect terminal servers – Citrix or Microsoft – and also runs on cluster servers. Robust protection If your system malfunctions or is forced to shut down, Kaspersky’s anti-malware protection technologies will automatically restart when your system restarts. Easy to manage – and flexible reporting User-friendly management tools and simple reporting systems help you to improve security – while spending less time on administration and reporting. Support for virtualisation Kaspersky’s file server security solution has achieved VMware Ready certification. Mobile Security Mobile anti-malware Kaspersky Endpoint Security for Business SELECT includes powerful mobile security that combines signature-based, proactive and cloud-assisted anti-malware technologies. You can scan every file, application, email attachment and media file – while the Kaspersky Security Network (KSN) delivers cloud-assisted technologies to help protect you against new and emerging threats. Application Control for mobile devices Kaspersky Endpoint Security for Business SELECT gives you control over which applications are allowed to run on the mobile devices that have access to your corporate network. You can choose a ‘default allow’ policy that allows all non-blacklisted applications to run, or a ‘default deny’ policy that prevents all non-whitelisted applications from running. There’s also automatic detection of rooting / jailbreak incidents. Encryption To protect your data in the event of any files being illegally accessed, Kaspersky Endpoint Security for Business SELECT includes encryption for mobile devices. File / folder level encryption (FLE) lets you encrypt individual files or folders and, for iOS devices, you can encrypt a whole disk or a partition. Containerisation If your business has a Bring Your Own Device (BYOD) policy, Kaspersky Endpoint Security for Business SELECT lets you set up a separate container – within the mobile device – so that corporate data and personal data are held separately. You can set up automatic encryption within the container and also control whether specific applications are able to access various resources within the device. Mobile anti-theft capabilities In the event of a device being lost or stolen, Kaspersky Endpoint Security for Business SELECT lets you remotely lock the device, find its approximate location and erase corporate information. If the SIM card in a stolen device is changed, Kaspersky’s SIM Watch feature will send you the device’s new telephone number – so you can still run all of Kaspersky’s remote anti-theft features. Mobile Device Management Extensive management functionality Granular mobile device management capabilities – that support Active Directory, Microsoft Exchange ActiveSync and Apple MDM Server – make it easier for you to deploy and control mobile security. You can customise your mobile security and deliver it to devices over the air or via the user’s PC. In addition, you can monitor whether users have completed the security download process – and then prevent unprotected devices from accessing your systems and data. Controls (Application, Device, Web) Application Control Flexible Application Control features give you granular control over the applications running on your systems: - Application Monitor – monitors and classifies applications as trusted, restricted or untrusted; - Application Startup Control – lets you grant, block and audit application launches; - Application Privilege Control – regulates an application’s access to the file system, registry and other resources; - Choose between a ‘Default Allow’ policy that only blocks blacklisted applications, or a ‘Default Deny’ policy that only allows whitelisted applications to run. Dynamic Whitelisting Application Control is supported by Kaspersky’s dynamic whitelisting service – whereby Kaspersky assesses the security status of common applications, in order to make sure they are safe for use. Currently, Kaspersky is the only company that has its own Whitelist Lab. The lab is responsible for monitoring all whitelist processes and constantly updating the whitelist database with details on legitimate applications. Because Kaspersky delivers whitelist updates to you via the cloud – using the Kaspersky Security Network – you can benefit from the very latest whitelist information. Device Control Because users can easily attach devices to your systems, you need to ensure that only authorised devices are used for authorised processes. Kaspersky’s Device Control features enable you to: - Control device access privileges – according to bus, type of device or a device’s serial number – to reduce the risk of data loss or the introduction of malware infections from unauthorised devices; - Set the times for controls to take effect – to help ensure your users can be productive during working hours and your ‘data in motion’ policies are adhered to. Web Control Kaspersky’s Web Control capabilities make it easy to monitor and filter a user’s web browser activity – by category, content or type of data. You can permit, prohibit, limit or audit users’ activities on specified websites or categories of sites – including social networks, online games sites and gambling websites – in order to help maintain productivity and ensure inappropriate or infected sites are not accessed from the corporate network. Unified Management Console Every feature within Kaspersky Endpoint Security for Business SELECT can be managed and controlled from one easy-to-use, centralised management console – Kaspersky Security Center. So you’ve got a single, intuitive-to-use console that enables granular IT security management across your entire IT network. Kaspersky Security Center also supports virtualised environments. By scanning your network, it can automatically identify virtual host machines and the virtualisation platform that they’re running – including VMware and Citrix. Administrators are then able to set policies for their virtual machines. Applications inside Kaspersky Endpoint Security for Business SELECT: - Kaspersky Security Center (including MDM); - Kaspersky Endpoint Security for Windows; - Kaspersky Endpoint Security for Linux; - Kaspersky Endpoint Security for Mac; - Kaspersky Anti-Virus for Novell NetWare; - Kaspersky Anti-Virus for Linux File Server; - Kaspersky Anti-Virus for Windows Server Enterprise Edition; - Kaspersky Security for Mobile.